Bishop, J. K. B., R. E. Davis, and J. T. Sherman. 2002. Robotic observations of dust storm enhancement of carbon biomass in the North Pacific. Science 298 (5594): 817-821. Caldeira, K., and G. H. Rau. 2000. Accelerating carbonate dissolution to sequester carbon dioxide in the ocean: Geochemical implications. Geophysical Research Letters 27:225-228. Conversion and Management 38 (Supplement): S199-S204. Govindasamy, B., and K. Caldeira. 2000. Geoengineering Earth's radiation balance to mitigate CO2-induced climate change. 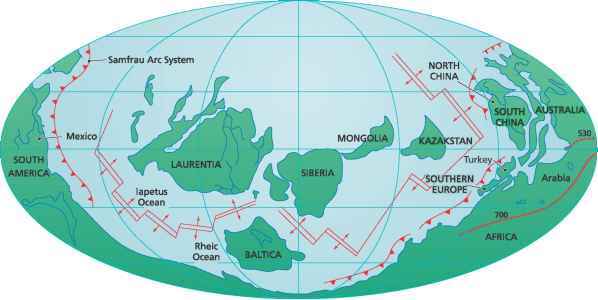 Geophysical Research Letters 27:2141-2144. Herzog, H. J., and E. M. Drake. 1996. Carbon dioxide recovery and disposal from large energy systems. Annual Review of Energy and the Environment 21:145-166. Herzog, H., E. Drake, and E. Adams. 1997. CO2 capture, reuse, and storage technologies for mitigating global climate change: A white paper. DOE Order No. DE-AF22-96PC01257. MIT Energy Laboratory, MIT, Cambridge, MA. http://sequestration.mit.edu/pdf/WhitePaper.pdf. Herzog, H., K. Caldeira, and E. Adams. 2001. Carbon sequestration via direct injection. Pp. 408-414 in Encyclopedia of ocean sciences, Vol. 1, edited by J. H. Steele, S. A. Thorpe, and K. K. Turekian. London: Academic Press. Hoffert, M. I., K. Caldeira, A. K. Jain, E. F. Haites, L. D. D. Harvey, S. D. Potter, M. E. Schlesinger, S. H. Schneiders, R. G. Watts, T. M. Wigley, and D. J. Wuebbles. 1998. Energy implications of future stabilization of atmospheric CO2 content. Nature 395:881-884. Hoffert, M. I., K. Caldeira, G. Benford, D. R. Criswell, C. Green, H. Herzog, J. W. Katzenberger, H. S. Kheshgi, K. S. Lackner, J. S. Lewis, W. Manheimer, J. C. Mankins, G. Marland, M. E. Mauel, L. J. Perkins, M. E. Schlesinger, T. Volk, and T. M. L. Wigley. 2002. Advanced technology paths to global climate stability: Energy for a greenhouse planet. Science 295:981 -987. Holland, E. A., F. J. Dentener, B. H. Braswell, and J. M. Sulzman. 1999. Contemporary and pre-industrial global reactive nitrogen budgets. Biogeochemistry 46:7—43. Keith, D. W. 2000. Geoengineering the climate: History and prospect. Annual Review of Energy and Environment 25:245—284. Keith, D. W., and M. G. Morgan. 2002. Industrial carbon management: A review of the technology and its implications for climate policy. Aspen Global Change Institute. http://www.agci.org/cfml/programs/eoc/ASPEN/science/eoc00/eoc00.cfm. Kheshgi, H. S. 1995. Sequestering atmospheric carbon dioxide by increasing ocean alkalinity. Energy 20:915-922. Lackner, K. S. 2002. Carbonate chemistry for sequestering fossil carbon. Annual Review of Energy and Environment 27:193-232. Lightfoot, H. D., and C. Green. 2002. An assessment of IPCC Working Group III findings in climate change 2001: Mitigation of the potential contribution of renewable energies to atmospheric carbon dioxide stabilization. Report No. 2002-5. Montreal: McGill Centre for Climate and Global Change Research. McGrail, B. P., S. P Reidel, and H. T. Schaef. 2002. Use and features of basalt formations for geologic sequestration. In Sixth international conference on greenhouse gas control technologies, edited by N. Matsumiya. Kyoto, Japan: Research Institute of Innovative Technology for the Earth. Metz, B., O. Davidson, R. Swart, and J. Pan, eds. 2001. Climate change 2001: Mitigation (Contribution ofWorking Group III to the Third Assessment Report of the Intergovernmental Panel on Climate Change). Cambridge: Cambridge University Press. Nakicenovic, N., and R. Swart, eds. 2000. IPCC special report on emissions scenarios. Cambridge: Cambridge University Press. Watson, R. T., I. R. Noble, B. Bolin, N. H. Ravindranath, D. J. Verardo, and D. J. Dokken. 2000. Land use, land-use change, and forestry. A special report of the Intergovernmental Panel on Climate Change. Cambridge: Cambridge University Press. Wilson, E. J., and D. W. Keith. 2002. Geologic carbon storage: Understanding the rules of the underground. In Sixth international conference on greenhouse gas control technologies, edited by N. Matsumiya. Kyoto, Japan: Research Institute of Innovative Technology for the Earth.